Is your home or business in need of repairs, improvements, or maintenance? 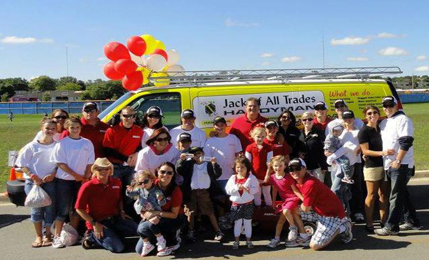 Jack of All Trades Handyman® is your trusted source for handyman services. We specialize in many types of home repairs, improvements, and maintenance. We also provide the same quality handyman services, and more, for your business. Jack of All Trades Handyman® provides Prompt, Clean, and Professional® service to customers located throughout the United States. Many of our customers have tried their hand at performing home repairs. However, they either don't have all of the tools, experience, or time required to get the job done. That's where Jack of All Trades Handyman® comes in. You can call or Book Online and a professional handyman will be there to complete your project that's currently in process, or take a new project from start to finish. We also provide FREE ESTIMATES! See our full list of home repair, home improvement, and home maintenance services Here. See our full list of commercial repair, improvement, and maintenance services Here.